Create a spectrum of eye makeup looks with the Shiseido Essentialist Eye Palette in 'Namiki Street Nature 03', an earthy eyeshadow quad inspired by one of Tokyo’s iconic streets. 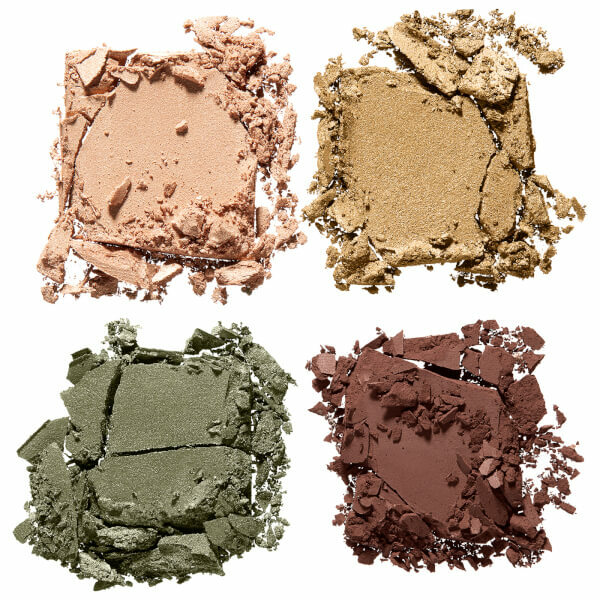 Combining four silky eyeshadow shades from warm gold to matte brown, each weightless eyeshadow has been made with an innovative cream powder matrix system to ensure pure, silky colour that lasts for 12 hours without creasing. 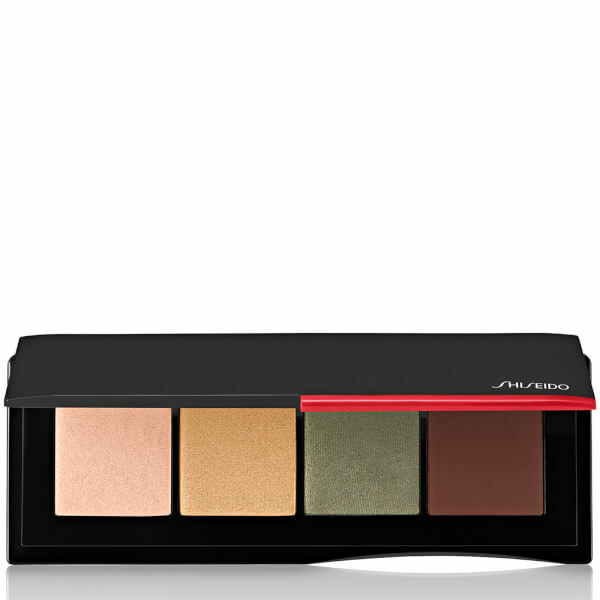 From soft matte to shimmering metallic, the complementary shades lay down striking pigment with a smooth, second-skin effect that blends effortlessly to create seamless eye makeup looks. Formulated with a transparent base to eliminate chalkiness. 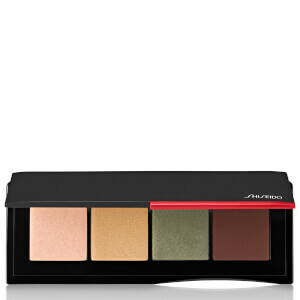 Housed in an ultra-slim eyeshadow palette. Apply to lids and eye area using fingers or a brush. Build and blend as desired. Talc, Aluminum Starch Octenylsuccinate, Mica, Iron Oxides (Ci 77499), Titanium Dioxide (Ci 77891), Iron Oxides (Ci 77491), Isononyl Isononanoate, Zinc Stearate, Iron Oxides (Ci 77492), Octyldodecyl Stearoyl Stearate, Dimethicone, Ethylhexylglycerin, Caprylyl Glycol, Hdi/Trimethylol Hexyllactone Crosspolymer, Diphenylsiloxy Phenyl Trimethicone, Ferric Ammonium Ferrocyanide (Ci 77510), Ultramarines (Ci 77007), Ferric Ferrocyanide (Ci 77510), Dimethicone/Phenyl Vinyl Dimethicone Crosspolymer, Tin Oxide, Silica.